The Ecology, Evolution and Behavior (EEB) group consists of 16 faculty members who share a fundamental interest in ecological and evolutionary processes. 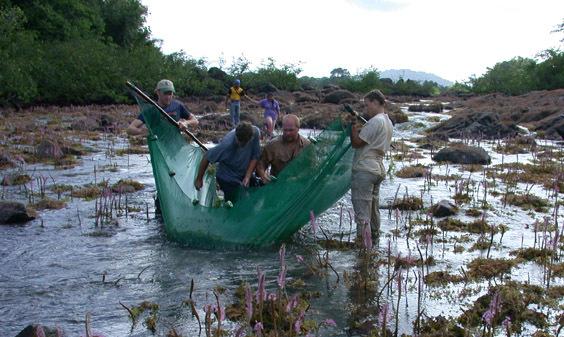 Expertise in ecological studies ranges from the molecular level to the community level and includes foci in freshwater, marine, temperate forest, tropical, and desert ecosystems. Expertise in evolutionary studies ranges from examination of sexual selection to systematics of major clades and includes foci in evolution of ornamentation in birds, diversification of marine invertebrates, evolutionary ecology of Neotropical catfishes, phylogeography of marine symbioses, marine microbial ecology, and diversification of southeastern flowering plants. Expertise in behavioral studies ranges from behavioral endocrinology and neuroscience to behavioral ecology in both invertebrates and vertebrates and evolutionary biology. The EEB group benefits from the presence of Peaks of Excellence associated with the Center for Forest Sustainability and Cell and Molecular Biosciences. The program also benefits from interactions with the Auburn Group in Ecology, the Alabama Cooperative Fish and Wildlife Research Unit, the Genomics and Sequencing Laboratory, the Molette Biology Laboratory for Environmental and Climate Change Studies and the Auburn Natural History Learning Center. Additionally, Auburn is a member of the Organization for Tropical Studies and the Dauphin Island Sea Lab, with active research programs at the field stations run by these organizations. We encourage graduate and undergraduate students with research interests in ecology, evolutionary biology, and animal behavior to consider this component of our program.